A lot of the official Gravity Forms Add-Ons use ‘feeds’ to send entry values to other systems on form submission. 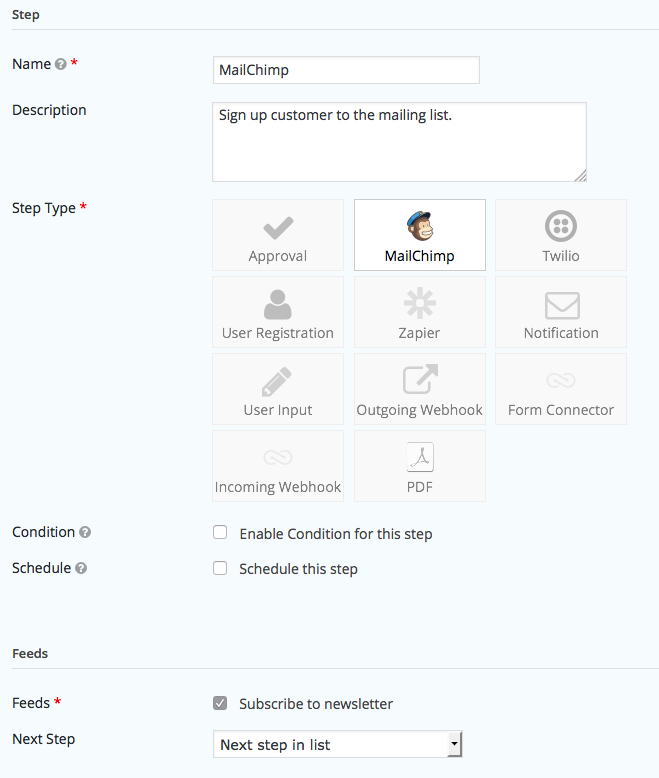 For example, the MailChimp Add-On can add a subscriber to a list, the Slack Add-On can send a message to a channel and the Zapier Add-On can do just about anything. If you need to ensure that feeds are triggered in a particular order you can add them as steps. 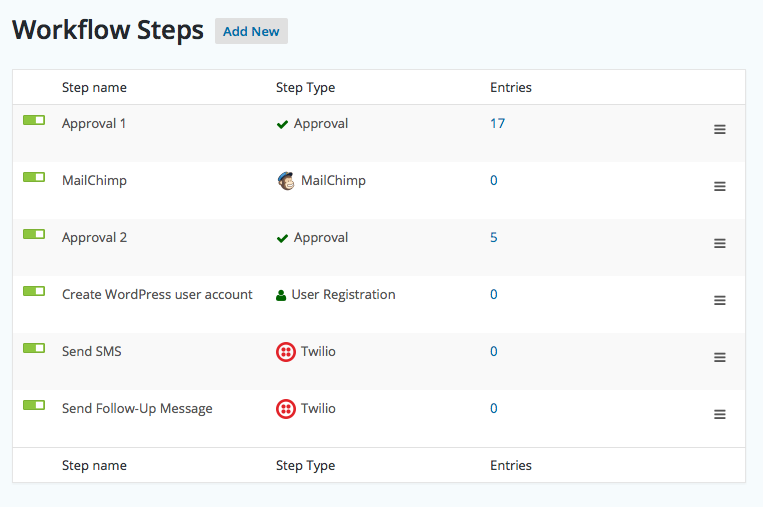 For example, a customer sign up process involving a couple of approval steps (optional) might look something like this. Drag and drop the steps in the right order. You may need to ensure that not only are the feeds triggered in a specific order but there must be a delay between the steps. 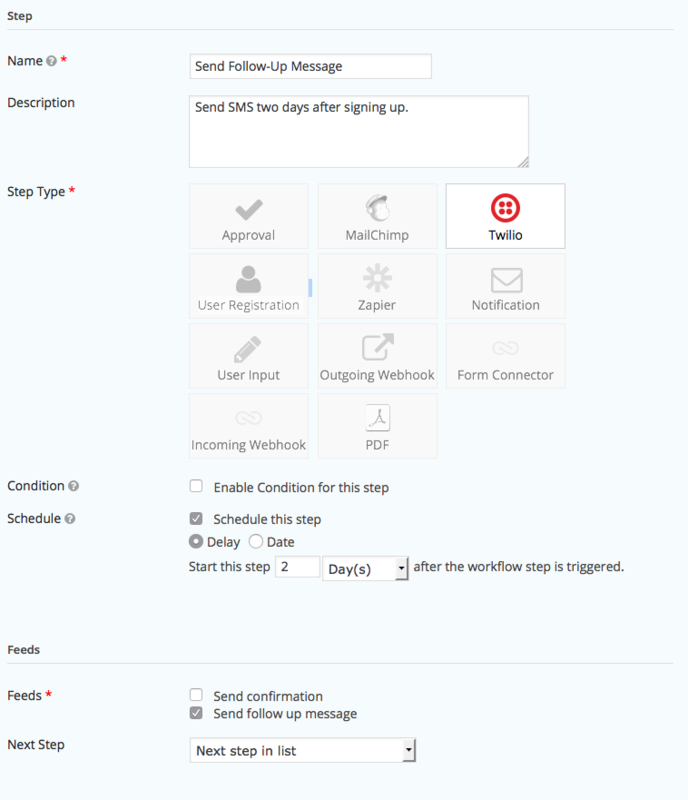 For example, the final step is configured to send out a follow up SMS message two days after signing up. This will ensure that entries are queued for two days before triggering the final step. That’s all it takes to set up a process with Gravity Forms feed add-ons and control their order and timing. The following Gravity Forms Add-Ons are currently supported.